I’m excited to present you with our Bloomington, Illinois Home Buyer’s Guide. Inside, you’ll find helpful tips about how to search for a home in Bloomington, IL. I’ll explain the steps of the real estate buying process from search to closing day. Bloomington, IL is a city in central IL near Normal, IL. Often put together with is sister city, Normal, IL and referred to as Bloomington-Normal, IL, this community is known for its wide variety of education and job opportunities. Hosting more than 3 colleges such as Illinois State University, Illinois Wesleyan University, and Heartland Community College, Bloomington boasts a large college-aged population. Along with education choices, the Illinois city in the home to employees of large companies like State Farm Insurance, Country Financial, and TEKsystems. The Bloomington school district alone has 8 schools along with multiple private schools. Bloomington hosts a number of restaurants of various styles. Whether it is a quick bit of fast food or a fancy date night dinner, there are options. Styles of food in the area include Mexican, Chinese, Indian, American diners, steakhouses, and much more. Local favorites include Destihl and Baxter’s steakhouse which are true to the city and provide a higher-end dining experience which doesn’t break the bank. Bloomington-Normal, IL is an ideal location for day to day recreation given its large middle class. The income of the residents attracts many businesses that provide fun activities for the whole family. Activities such as movie theaters, concert venues (Castle Theatre, Grossinger Motor Arena, etc. ), large parks (State Farm Park) and much more. The area experiences all four seasons fully to allow 4 seasons of activities. Youth Sports, swimming pools, sledding hills and golf courses are just some of the popular activities experiences throughout the year. The average home price in Bloomington is around $176,000 with hundreds of active listings at any given point. On the high end, homes can cost upwards of millions and as low as $40-50,000. In this diverse city, there are homes for any budget. According to data USA, the median property value is $164,000. Crime in the area is about 25% lower than the national average and is considered 35% safer than the average city in the country. Locals often stay out late, walk by themselves and leave their doors unlocked at night. Bloomington Police Station is centrally located in the area and actively patrol problem areas to give peace of mind to its residents. Though every community has its good and bad parts, Bloomington is considered one of the safest in central, IL. There is a wide variety of neighborhood choices in the local Bloomington Normal Area but select communities stand out from the rest. Janet Jurich provides real estate services all around central IL but is based in the Bloomington Normal area. Highly desired communities include Eagle Crest East, Fox Creek, Founder’s Grove and Old Farm Lakes. These areas are strategically located nearby popular school and businesses to ensure an easy commute day-to-day. Though each of their local communities is located in Bloomington, they all have unique personalities and architectural styles. For example, Eagle Crest East is a more modern family oriented neighborhood while Founders Grove is far more historic boasting older style homes. Bloomington, IL has an immense sense of choice when it comes to the area you choose. Many buyers want to look at homes assigned to a specific school district in town. Some people use Zillow and Realtor filters to search by school district. At times, the results can be inaccurate or outdated, but for the most part, it gives you a good start for your search if you have your heart set on one school district. If you have a home in mind, and you want to make sure the home is assigned to a specific school district such as District 87 (https://www.district87.org/Domain/15) or Unit 5 (https://www.unit5.org/), you can visit the county school system’s website. Most likely there is a link available for parents who want to find their child’s base (assigned) school. You’ll need to enter the address to get this information. 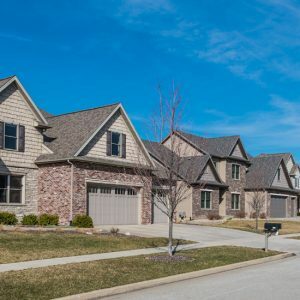 Whether it is Bloomington High school, Normal Community High School, University High or one of the other school in Bloomington, it is important to find the right location for your home. Most MLS systems allow an agent to filter results by using a mapping feature to draw boundaries for the search. If your local real estate agent knows the school district’s boundaries, which most likely can be found on the county school system’s website, they can draw those boundaries on the MLS map for a more detailed search. If you know of a zip code that is associated with District 87 or Unit 5 such as 61761 or 61704, the MLS can search by zip code. You can ask your agent to search by specific schools such as “Elementary School=Bloomington Jr High.” Most MLS systems have this capability. 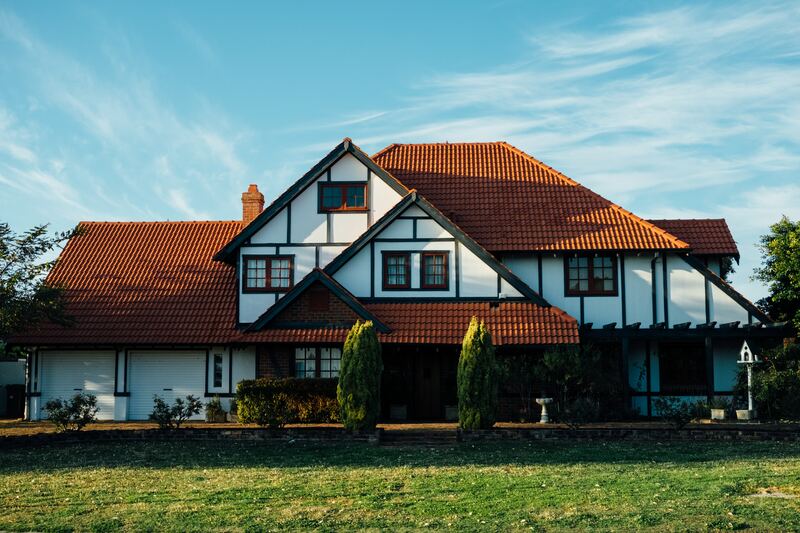 An agent such as Janet Jurich can also search by the specific neighborhood if you know the neighborhood is assigned to a specific school district. In the old days before the Internet made all listing information available to buyers, realtors had to wait each week for their coveted copy of the black-and-white multiple listing service books. Today, your real estate agent most likely has a company website with MLS search capability, so ask them first where you should look online. If you’d like to search using Zillow, Realtor.com, or other sites, there are plenty to choose from with detailed filtering features. Each of these has mobile apps, so you can select favorites and get text alerts. We have our own online real estate search system to allow you to search home specifically in the Bloomington/Normal, IL area. All traditional lenders require a down payment unless you are using down payment grant programs such as a VA loan or USDA loan. It’s a good idea to start saving early for a down payment. 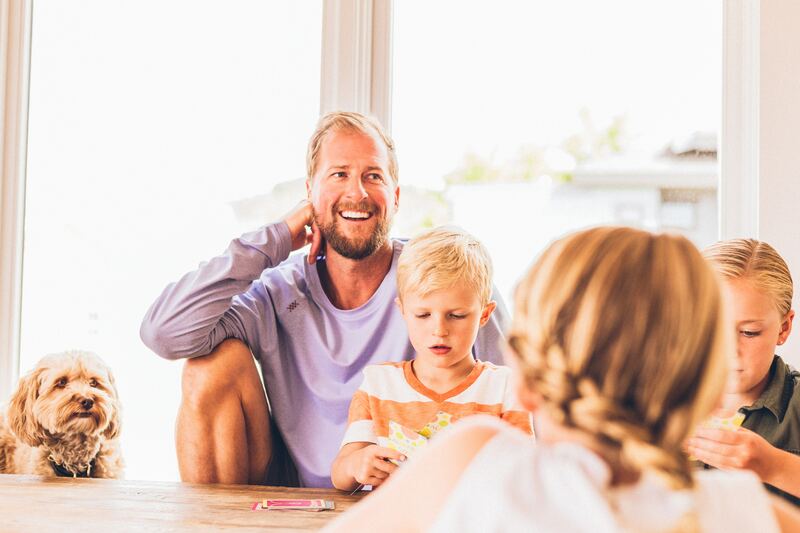 An ideal down payment would be 20 percent, however, you can put down a lower down payment but you’ll need to pay for PMI insurance (private mortgage insurance) which can make your monthly payment more expensive. The amount of down payment determines what kind of mortgage you qualify for and how much money the lender is willing to loan you. 1st Home Illinois helps first-time homebuyers and veterans buy a home with a 30-year fixed rate mortgage. The buyer can receive a $7,500 down payment assistance grant under this program. @HomeIllinois is offered by the Illinois Housing Development Authority. It offers buyers a combined 30-year fixed rate mortgage with down payment assistance. Down Payment Plus Program of the Federal Home Loan Bank of Chicago offers members down payment and closing costs assistance. This is for low to moderate income buyers. Normal Homebuyer’s Down Payment Assistance Program is funded by the Community Development Block Grant program and offered by the Town of Normal, Illinois. The program offers assistance on a portion of the down payment. All buyers who are active military service members or veterans can take advantage of VA loans that offer 100 percent financing without a down payment. You’ll need a credit score of at least 600. Learn more about VA loans here. The Bloomington-Normal area has a rich agricultural history and market, so USDA loans may be something a buyer should look into. To qualify for these loans, your home must be in a designated rural area. A real estate agent or lender can help you determine if the home you wish to purchase qualifies. USDA loans offer 100 percent financing without a down payment. There are more than 2,000 homebuyer assistance programs offering down payment grants, deferred loans, low-interest loans, forgivable loans, and others. Make sure you research these options before setting out on a home search. It could save you thousands. If your credit score is on the low side, then you may want to consider an FHA (Federal Housing Administration) loan. An FHA loan requires a credit score of at least 500. If you go with the minimum down payment of 3.5%, then the minimum credit score is 580. Most lenders require a credit score of 620 to 640 to qualify for an FHA loan. Your DTI is a comparison of how much monthly debt you owe to how much income you earn each month. Your debt-to-income ratio (DTI) isn’t just a tool the banks use to determine the amount they are willing to loan you. It’s also a number that you can use to determine how comfortable you’ll be with a mortgage payment added to your monthly payments. Some people decide to wait on buying a home after they calculate their DTI. Add up all of your monthly debt payments and divide them by your gross (before tax) monthly income amount. Monthly debt may include credit cards (use minimum payment), child support, alimony, student loan, automobile loan, and other debts. This does not include groceries, utility, gas, and taxes. After dividing your total debt by your gross monthly income, you’ll arrive at your DTI in the form of a percentage. The lower the DTI, the better. This means you’re less of a risk to the mortgage lender. Most lenders would like to see a DTI of 43% or lower. If the DTI is lower than 43%, then it will not be considered a Qualified Mortgage (low risk). That isn’t to say that a large bank will not offer you a home loan with a DTI higher than 43%. They may allow this with special circumstances attached. Ask your mortgage lender for options. Closing on a home can be a stressful and complex procedure full of steps and procedural formalities. An experienced real estate agent such as Janet Jurich can make a world of difference with how the closing process goes. The closing process is when you sign the legal papers that transfer the home to you as the new owner. Before closing day, there are a lot of things that must happen first. Below, is a list of the main steps in the closing process. An escrow account is where the buyer’s and seller’s money is held by a third party until all legalities of the real estate transaction have been completed. After everything has been agreed upon and settled, the money and documents are moved from the escrow account to the buyer and seller. Both of these are a legal safeguard for the buyer. A title search is when all public records pertaining to the home in question are examined for problems and to confirm the property’s legal ownership. You’ll want to find out if there are any claims on the property as well as liens. The lawyer can give their professional legal opinion on closing documents and give you the heads up on any problems that may occur in the process. This will speed up the process of buying the home. Plus, you’ll have more bargaining power during negotiation. It’s a good idea to get pre-approval before searching for a home. Junk fees are obscure charges that a lender may charge at closing such as application review fees, appraisal review fees, administrative fees, ancillary fees, settlement fees, and processing fees. Even if some fees are considered legitimate closing fees, be aware that some lenders will try to inflate those amounts. An experienced real estate agent should be able to recognize inflated junk fees and can give you advice on negotiating for lower fees. Never waive a home inspection even if the seller has already conducted their own home inspection. Remember, the home inspector may be biased to the paying party, so it’s a good idea to purchase your own home inspection. It’s also a good idea to be present for the inspection. Don’t forget to order a pest inspection. No one wants to deal with carpenter ants or termites after moving into a home. These pests can leave devastating and costly damage to properties. If the inspection report finds major problems, then you can renegotiate the purchase price to allow for needed repairs. You can keep the purchase price the same, but require that the seller make the necessary repairs. When your real estate agent draws up your purchase offer, they should have made it contingent on a number of things such as the seller completing agreed-upon repairs. In the closing process, these contingencies must be removed in writing by specific dates which are stated in your purchase offer. When you signed your purchase agreement, you made a deposit of earnest money to the seller showing your good faith and interest. If you decide against purchasing the home, then that earnest money goes to the seller. If the seller backs out of the sale, then the earnest money goes back to you. If the sale goes as planned, then the earnest money you deposited goes toward the down payment and closing costs. During the closing process, you will also have to deposit other funds into escrow. Your realtor can explain any additional funds needed at this time. This is when you, the buyer, are allowed to take one last walk through the house, to make sure the home is free of damage or missing items since the home inspection. Having a thorough and patient lawyer and real estate agent on your side can make the closing process less stressful. This is most likely one of the largest purchases of your life, so take your time to read carefully through the documents, checking things such as the interest rate and agreed terms, because these can have a major impact on your finances for years to come.